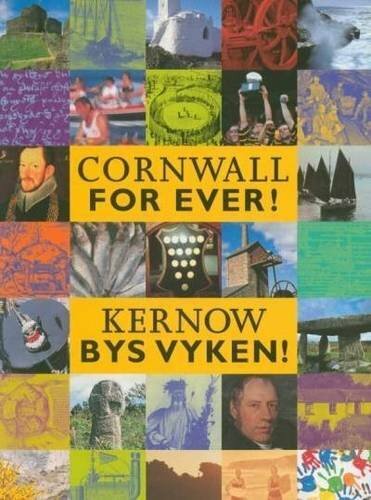 Credits | Cornwall For Ever! Edited by Ian Saltern. Designed by Nixon. Additionally, the production of this website would not have been possible without the generous advice and assistance of the following individuals and organisations. Founded in August 1962 by Joseph Patrick and his wife Ruth, to provide grants to other charitable organisations, institutions or trusts, with particular support for Muscular Dystrophy. Over the years, as the Trust’s financial position has strengthened, it has been able to diversify its grants to a wider range of charities. In 2012, the Trust celebrated its 50th anniversary. During this time grants in excess of £5m have been allocated to registered charities. The Brewin Dolphin Foundation was established in 2012 to increase the positive contribution Brewin Dolphin makes to the world by coordinating charitable activities under one umbrella in order to generate a greater impact for beneficiaries. The Carew Pole Charitable Trust supports charities and charitable purposes generally, but with priority being given to those in Cornwall, and those connected with the heritage, the environment, horticulture, the armed services and the arts. In 1999, a group of people set up the Cornwall Independent Trust, after identifying the need to give those struggling in the community a voice and to establish an independent source of funding of self-help within Cornwall and the Isles of Scilly. In 2003, the Fund became the Cornwall Community Foundation, continuing this work and supporting work to improve education, health – both physical and mental – and the relief of poverty and sickness. Cornwall Heritage Trust protects some of the most iconic sites in Cornwall, such as Treffry Viaduct, Castle an Dinas and Sancreed Beacon. The Trust regularly provides grants to other heritage organisations and its education programme helps to promote a greater appreciation of Cornwall’s unique heritage. The Duke of Cornwall’s Benevolent Fund provides grants to help support projects focussed upon the environment, conservation, wildlife, community, art, religion and education. Gorsedh Kernow (Cornish Gorsedh) exists to maintain and give expression to the national spirit of Cornwall as a Celtic country and in particular: to foster good relations between Cornwall and other Celtic countries; to encourage study and use of the Cornish language; to encourage the study of Cornish history, literature, art, music, sport and related subjects, and, to hold an annual Gorsedh Kernow Bardic ceremony. Gorsedh Kernow gives small grants to projects meeting its aims. Imerys is the world leader in mineral-based specialties for industry. The company transforms a large variety of minerals into high value specialty products for industry using sophisticated technical processes. The National Trust is a charity founded in 1895. It looks after coastline, forests, woods, fens, beaches, farmland, moorland, islands, archaeological remains, nature reserves, villages, historic houses, gardens, mills and pubs. It restores them, protects them and opens them up to everyone. The Sir Arthur Quiller Couch Memorial Fund was set up as a charitable trust in 1945. The Committee is keen to promote diversity, excellence and creativity in Cornish literature and humanities. It achieves this through giving small grants to projects that meet its aims. South West Water is part of Pennon Group plc. It provides reliable, efficient and high quality drinking water and waste water services throughout Cornwall and Devon and in small areas of Dorset and Somerset. The Tanner Trust supports charitable organisations to deliver projects across a wide range of areas including education/training, health, disability, poverty, overseas aid, environment, human rights, religious activities, arts, culture and heritage. Tregothnan is a place where generations of families have lived and worked the land. Its tenant farmers offer some of the finest and most diverse produce in Cornwall, available through the Tregothnan product range. Tresco is a beautiful, tranquil, family-owned island off the coast of Cornwall with award-winning accommodation and food. In this warm and luxuriant garden, you can follow in the footsteps of the 1920s plant hunters to see plants that flowered in Britain for the first time. Trengwainton also has a kitchen garden built to the dimensions of Noah’s Ark and a tearoom. Trewithen is one of the largest privately owned estates in Cornwall. The house, gardens and plant centre are open to the public for part of the year. The Viscountess Boyd Charitable Trust supports organisations delivering projects in the following areas: arts, culture, heritage, science, environment, heritage, education, training and health. Preference is given to projects in the south west. Truro and Penwith College is widely respected as one of the best tertiary colleges in the country. From campuses in Truro and Penzance, the College offers a diverse range of educational choices, supported by outstanding resources and purpose-built facilities. The Trusthouse Charitable Foundation is a medium-sized grant making body giving grants to small, well-established organisations in the UK who address local issues in areas of extreme urban deprivation, or in remote and fragile rural communities. The University of Exeter combines world-class research with excellent student satisfaction at its campuses in Exeter and Cornwall. It is a member of the Russell Group of leading research-intensive universities. Formed in 1955, the University has 21,273 students from more than 130 different countries. Visit Cornwall is the official tourist board for Cornwall. It is Visit Cornwall’s mission to seize every opportunity to continue to make Cornwall a quality destination of choice. Western Power Distribution is the electricity distribution network operator for the Midlands, South West and Wales. It delivers electricity to over 7.8 million customers over a 55,500 square kilometres service area. Their network consists of 220,000 km of overhead lines and underground cables, and 185,000 substations. Western Power Distribution employs over 6,000 staff.